Cautionary tale: What happens after daring elite hackers to hack you? A journalist issued such a “hack me” challenge to expert hackers and the resulting pwnage was not pretty. After all the big breaches reported last year, Real Future's Kevin Roose wanted to see how well he would fare in a personal pen-test. Issuing such a “hack me” challenge is rarely wise as New York University Professor and PandoDaily editor Adam Penenberg found out a few years ago after asking TrustWave to hack him if it could. Roose posted a video showing “what happens when you dare expert hackers to hack you” and the resulting pwnage was not pretty. When Roose asked to be hacked, social engineering pro Chris Hadnagy replied, “may God have mercy on you ;)”. Roose said he is a “pretty privacy-conscious guy” and believed he had good security hygiene, but “HumanHacker” Hadnagy, for example, pulled up Roose’s home address by zooming into a tweeted photo of Roose’s dog and grabbing his address off the dog’s tag. And the vishing pulled off by social engineer specialist Jessica Clark was especially impressive as she called an unnamed cell phone provider to trick it into handing over Roose’s email address. Before she called, spoofing his phone number, she started a YouTube video of a baby wailing in the background. She pretended to be his non-existent wife. The call started at 2:29 in the video and by 2:59 she had his email address. Roose also asked Dan Tentler, pentester and founder of the Phobos Group, to hack him. Although Roose promised himself he would be “extra-careful while the hackers were targeting” him, he fell for a phishing scheme. Tentler registered a domain name that was one letter off from Roose’s website host and sent an email allegedly from the host’s security team. After Roose clicked on the link to supposedly install a security certificate on his site, Tentler’s shell owned him. For all intents and purposes, he said, “I am you. “I could have left you homeless and penniless,” he said. If that’s not bad enough, all of this was revealed to Roose at DefCon where he surely would have been wise to be feeling a bit paranoid at any rate since he was surrounded by digital ninjas normally cloaked in cyber-ether. Although he reportedly wanted to toss his laptop into the ocean and go hide on a deserted island, security and privacy pro Morgan Marquis-Boire injected some sanity into the situation by pointing out that Roose would not normally be interesting enough to be targeted by such skilled hackers. “Do you worry about trained martial artists beating you up on the street?” asked Marquis-Boire. Roose admitted that he was not too worried about being attacked by ninjas on the street. Regular Jane and Joe Public may not issue challenges to be hacked or need to worry about the newest strain of “CEO fraud,” aka Business Email Compromise (BEC), that was reported by KnowBe4 – a company so confident its security awareness training works that it will “pay your ransom if you get hit with ransomware while you are a customer.” Yet Jane and Joe could be employees, the weak end user links to be targeted and exploited via BEC spear phishing attacks. 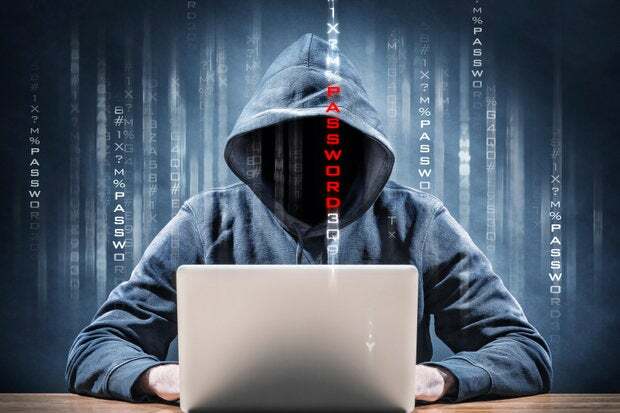 Over the last year there’s been a huge increase in BEC, according to a new report by PhishLabs, and “no security tool or training regimen will prevent” people from falling for phishing attacks – the toehold Tentler used in pwning Roose. Even if employees are extra cautious and wise about phishing, what about falling for vishing? You could be as security-wise about social engineering as possible, but if a company with which you do business isn’t, then that’s all it takes for an attacker to own you.